The circumstances surrounding the effect on the pH of seawater upon removing the sulfur, or leaving the oil untreated, are more difficult to resolve due to problems over different time frames. From the perspective of the impact on the chemistry of the oceans, it would appear to matter little whether sulfur is removed from marine fuel oil or not, as the effect on ocean pH and the emission of CO2 into the atmosphere ends up as much the same. The acidification of the oceans due to the sulfur in marine fuels is minute: three orders of magnitude less (in pH unites) that are due to the CO2 accumulation in the atmosphere from the combustion of fossil fuels. Abstract: Divers are exposed to high noise levels from a variety if sources both above and below water. The noise exposure should comply with ‘The Control of Noise at Work Regulations 2005’ (coNaWR05, 2005). A detailed review of diver noise exposure is presented, encompassing diver hearing, noise sources, exposure levels and control measures. Divers are routinely exposed to a range of noise sources of sufficiently high intensity to cause auditory damage, and audiometric studies indicate that diver hearing is impaired by exposure to factors associated with diving. Human hearing under water, in cases where the diver’s ear is wet, is less sensitive than in air and should be assessed using an underwater weighting scale. Manufacturers of diving equipment and employers of divers have a joint responsibility to ensure compliance with the exposure values in the CoNaWR05, although noise is only one hazard to a diver, and a balanced risk assessment must be applied to the whole diving operation. A diver noise reduction strategy is proposed, and a health surveillance programme involving audiometric tests for divers should be established. 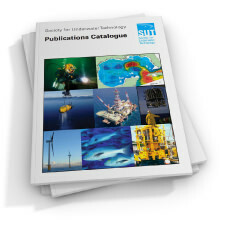 Abstract: Artificial reefs are constructed for many reasons around the world, but they usually have to comply with some form of regulation which may require demonstration of accurate deployment through some form of post–construction measurement. Reefs related to fisheries are often subjected to scientific census to assess whether production and/or residence is related to reef size and cost. Once deployed under water, there is the obvious problem of obtaining an accurate assessment of the size and shape of reefs. This study examined two methods for estimating reef size that were employed on a large–scale matrix for 30 separate artificial reefs constructed off the west coast of Scotland: (1) measurements made by standard SCUBA divers and (2) estimates based on raster graphic image analysis of images created from multibeam echosounder (MBES)xyzdatasets. The degree of agreement ranged between the two methodoloies with no obvious trends; it was assumed that the MBES data would be more accurate because of the lower numbers of assumptions. More simple–shaped blocks produced more shallow and scattered profiles than the blocks containing voids. More reef scatter (as measured by footprint area recorded at greater water depths. Abstract: Many modern diving decompression computers have the ability to record and display information of, and related to, the dive profile. In the UK, there are currently approximately 50 models of diving decompression computer being sold with a capability for recording and downloading dive information. Based on the technical information either supplied with each computer or made available on the internet this present study presents examples of 47 of these downloadable computers to review some of the parameters that are commonly measured, recorded and/or displayed such as: depth recording and/or measurement frequency, and/or measurement resolution, method of recording/display (e.g. maxima, minima, average, thresholds), methods of downloading information, and what data are stored and storage limitations. Although there is a wide range in the technical capabilities of the computers reviewed they all record and store similar basic dive profile information. However, the present review highlights the variation in many of the recording/measuring formats and download methodologies. Abstract: Rebreather diving systems have many advantages to standard open–circuit systems (or SCUBA). Re–breathers offer higher gas efficiency together with silent and bubble–free diving. Moreover, instead of cold and dry gas found in open–circuit systems the diver takes advantage of a warm and humid breathing gas. Stealth (through silent, bubble–free diving) can be beneficial for scientists exploring a range of natural ecological research areas. The high gas efficiency of rebreathers, combined with their lower operational costs, can provide longer autonomy and shortened decompression obligations that may assist the scientist with deeper diving explorations. 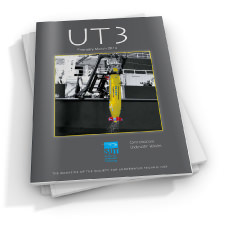 The present paper gives an overview of today’s rebreather technology and focuses especially on the needs of scientific divers. 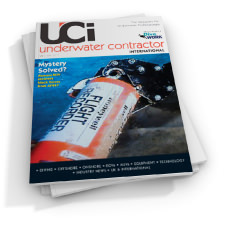 Moreover, it includes a short report about achievements in the field of deep coral explorations, where advanced electronically–controlled closed–loop rebreather systems were the key for efficient and successful missions. Abstract: To study the effects of anomalous concentrations of CO2 in the sea a volcanic area was identified in the southern Tyrrhenian Sea, where submarine CO2–rich discharges occur in shallow water producing under–water gas plumes. Specific fluid sampling and water–chemistry measuring techniques were developed to be used by scientific divers in order to identify the chemical composition of the gas emissions and their effect on the marine surroundings. Laboratory experiments were conducted to identify the main features of the physical interaction of a gas plume with the surrounding liquid environment. Abstract: Italy established its first base in Antarctica in 1986 at Terra Nova Bay (Ross Sea) and since 1987 underwater activities have been undertaken, both in ice–free waters and under the ice, mainly in support of scientific research. Scuba diving and robotic underwater explorations were undertaken following the regulations and the guidelines settled by Programma Nazionale Ricerche in Antartide (PNRA). This present account gives a brief history of the most important underwater activities led by the Italian Programme highlighting studies of macro benthic assemblages as well as the work needed to collect information on biology, geology, glaciology, geodesy, geophysics, oceanography. A brief overview of the PNRA diving guidelines is given. Abstract: Scientific cave diving techniques were employed to explore and study the cave “Capo d’Acqua d’Amaseno”, which is located in the southern Latium Region (Central Italy) about 80km southeast of Rome. The cave is fed by a karst system and its dimensions permit exploration through use of diving. Inside the cave a small underground lake was discovered and its level was monitored by deploying a water–level data–logger and comparing it with the rainfall measured in the area. First results highlight the fast response of the lake level to the rainfall; this is in agreement with the characteristics of a system fed by large karst conduits. Abstract: Active hydrothermal vents, mainly occurring along the mid–ocean ridges, are also found in shallow–water environments in volcanic areas. This paper presents data for a shallow–water vent and associated sulphide hydrothermal deposits located east of the volcanic island of Panarea (Aeolian Archipelago, southern Tyrrhenian Sea). The vent lies at a depth of 25m on the seafloor in an exhalative area characterised by the presence of several vents (Caramanna et al., 2003, 2005; Anzidei et al., 2005; Esposito et al., 2006). Samples of the hydrothermal deposits were collected by scientific divers in January 2007. The ore mineralogy components of the deposits, mostly Pb–As sulfosalt, Zn–Pb sulphide and barium sulphates, reveal a genetic analogy with late–stage, low–temperature products of Kuroko–type mineralisations in subduction–related tectonic settings. Abstract: Studland Bay, Dorset, on the central south coast of England is shallow and well protected from the prevailing south–west winds, making it an ideal habitat for a dense seagrass bed of Zostera marina. The shelter and proximity to the port of Poole make it a popular anchorage. Bare patches in the seagrass habitat associated with boat anchoring and mooring are described. Shear vane stress of the seabed was measured in situ by SCUBA divers. When comparing the undisturbed seagrass sediment with the bare, impacted areas, the latter sediments are less cohesive, contain less organic material and have a lower silt fraction, infaunal organism number and taxa. A mechanism for the progression of an anchor scar is suggested, involving storm wave induced mobilisation and dispersion of the impacted sediments exposing the underlying rhizome mat, which is further undermined by crabs. Results from this work and studies on other seagrass species suggest that the recovery is far from straightforward. It may take many years, leading to the decline of the Studland Bay seagrass habitat and associated species. The underwater exploration of the Merro sinkhole and the associated diving physiological and psychological effects. Abstract: The Pozzo del Merro (Merro sinkhole), a few kilometres away from Rome, Italy, is the deepest flooded karstic cavity known in the world. Over the last two years, a multi–disciplinary scientific research project studied the almost unknown aquatic ecosystem of the sinkhole while also studying the psychological and physiological reactions of scientific divers operating in the very hostile underwater environment. This paper presents a preliminary overview of the seven studies carried out in parallel and attempts to highlight the fundamental role of scientific diving in contributing to increased knowledge about this extreme environment. The discovery of two exotic species in the sinkhole represents a paradigmatic case of the problem of invasive species introduction in such a unique environment. The project also included research on human diving physiology, pathology and psychology through monitoring of all the divers (plus one free–diver) working in the Merro sinkhole. Abstract: In 2008 the building of a first windmill park some 30km off the Belgian North Sea coast began. Such offshore constructions represent a novel, artificial, hard substratum habitat on the Belgian continental shelf, where the sea–bottom consists mainly of sandy and muddy sediment. It is anticipated that in the coming years, several hundreds of offshore windmills will be constructed in a dedicated zone off the Belgian coast. SCUBA–based in situ techniques were used to document and sample the fouling assemblage on the hard substratum represented by the concrete foundations of the first windmills constructed in Belgian waters. Here this paper presents and discusses the results of the monitoring undertaken from February 2009 to February 2010. Despite the further offshore location and differences in substratum type, the preliminary results indicated that the overall structure of the marine biofouling assemblage at the Thornton Bank site is similar to that on the foundations of other offshore wind farms in Germany, Denmark and the Netherlands, as well as on other hard structures in the North Sea. 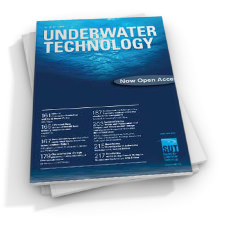 Abstract: A remotely operated vehicle (ROV) survey aimed at exploring the waters around Montecristo Island, a nature reserve in the Tuscan Archipelago (Tyrrhenian Sea), was carried out in summer 2008 down to a maximum depth of ca. 160m. The main target of this exploration was checking the potential occurrence of deepwater scleractinian corals. Whilst the ROV transects did not document any deepwater corals, they did reveal that the coarse detrital bottom of the Montecristo granitic edifice between 110–160m was dominated by a crinoid facies made of Leptometra phalangium (Müller, 1841) with a density of up to 15 individuals per m². The use of scientific moorings is a long established method for obtaining timeseries data from the ocean, and they are often deployed for long periods at a time – sometimes for many years. As many moored instruments log data internally and are unable to transfer them to shore, moorings must be recovered for the data to be downloaded. Scientists therefore rely on not only the mooring collecting data as planned, but also the hardware surviving the deployment period. It is important to be able to predict mooring behaviour when subjected to environmental conditions at the site to ensure that they will be able to perform the required scientific tasks, such as collecting measurements at the correct depths. This paper presents the design strategy used by the Natural Environment Research Council’s Rapid Climate Change Meridional Overturning Circulation (RAPID MOC) project. It discusses how the designs have evolved during subsequent deployments to improve the quality of the data collected and to reduce the risk of instrument and data loss impacting on the scientific objectives of the project. Abstract: A very small and deep lake (a sinkhole) in Central Italy was studied during summer 2010 adopting an artificial intelligence based method, the self–organising map (SOM), for the analysis of data collected by a slightly modified underwater visual census (UVC) technique (strip–transects). The data were collected on the assemblage structure and individual age/size of the summer fish found in the sinkhole. UVC data are known to be in some cases partially unreliable for common quantitative statistical analysis (being noisy, uncertain and redundant, particularly in small systems). A specific type of artificial neural network (the SOM) was therefore put forward as a suitable solution for properly extracting information from this kind of data. In the past two decades SOMs have proved to be often more appropriate than other common multivariate techniques in assessing a range of ecological issues. Nevertheless, no study has explicitly taken advantage of the potential of using SOMs with UVC data. The paper gives a brief example of how SOMs can be used to represent and analyse multivariate patterns of a fish assemblage. 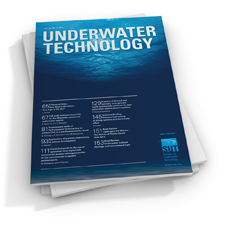 Abstract: The design and preliminary testing of a prototype ranging system, capable of being utilised by an underwater positioning system, is presented in this paper. The system extends the reach of the terrestrial global positioning system (GPS) to the subsea environment. The prototype system incorporates a topside surface buoy that receives and relays the GPS data, via acoustic signals, to the subsurface receiver. The receiver calculates the range from the topside buoy using the coded acoustic signal. Key operating characteristics of the system are experimentally investigated: long– and short–range accuracy, repeatability and resolution. The prototype ranging system also demonstrates the feasibility of a full–up underwater vehicle positioning system (comprising three topside buoys and a receiver). The ranging system’s experimental performance has been extrapolated to show that a theoretical position accuracy of 6.5m will be attainable for an unlimited number of underwater receivers operating within a 1km² workspace. Abstract: The calculation of a decompression schedule, according to the Varying Permeability Model (VPM) with Boyle’s Law compensation extension, requires many sophisticated arithmetic operations. Therefore if it is calculated with a limited arithmetic instruction set on a microcontroller, a decompression schedule cannot be calculated in an acceptable time frame. This paper describes the principles behind an optimisation in calculation speed of the VPM with the Boyle’s Law compensation extension for the determination of decompression schedules on a low power microcontroller. It was accomplished in three independent steps: converging the cubic root equation of the Boyle’s Law compensation algorithm; using a set of predictive models to calculate the adapted bubble radius without using a cubic root solver; and pre–calculating the exponential terms of the Haldane and Schreiner equations, in order to reduce processing time and dynamic adjustment of the step size within the iterative process of the decompression schedule calculation. The modified algorithm was tested on an Atmel ATmega644P running at 8MHz. Calculating decompression schedules with these enhancements were approximately five times faster than with the original algorithm. Abstract: Head–up displays (HUDs) are mounted in the field–of–view in close proximity to the eye. The present work describes the development of HUDs for rebreather diving. The developed HUDs feature a micro–screen instead of LED–based systems found in nearly all existing available commercial units. Two mouthpiece– mounted prototypes were developed. However, this approach turned out to be impractical and a better solution was found with mounting the HUD directly onto the diver’s mask. A split optical path, where the HUD is glued to the visor, and a small lens located inside the diving mask were key features enabling a compact and lightweight design while, at the same time, withstanding pressure and water ingress.